A story, first hand, from the heart. Annie Eves chose her sister, Grace, to be the subject of her debut play, as part of her mission to raise awareness of Grace’s condition. ‘Encephalitis is an inflammation of the brain. It is caused either by an infection invading the brain (infectious encephalitis) or through the immune system attacking the brain in error (post-infectious or autoimmune encephalitis)’ – Encephalitis Society. In Grace’s family, each member has their role; Chief Gluer, Pink Tree Creator and Swings and Roundabouts Cutter. Dedicated to Grace, her family spend each Sunday creating a new park collage at her command. Grace’s strict routine, uncontrollable storms of anger and pure hatred for wearing shoes makes simple outings to the shops or restaurants an arduous task for the entire family, but no one is giving up. The ongoing battle with Grace’s condition is defeated by the love and patience of her family. Eves uses character doubles of Annie and Grace to explore their personal feelings and experiences. This coupled with expressive musical numbers makes for dynamic story telling. James Monckton accompanies songs with live guitar from the corner of the stage. In particular the lyric, ‘Sew my soul to my skin’ is a powerful reminder that being labelled with a condition can lead to a person being defined by their medical diagnosis rather than as an individual. Grace loves Cheese and Jam sandwiches, but the cheese must be Laughing Cow and the jam must be Bonne Maman. The ensemble of this cast create fun and fabulous movements to accompany Grace’s desires. Rosemary Berkon acts with remarkable dedication to maintaining Grace’s isolated expression. Annie Eves, starring as her younger self, is compelling to watch and delivers an effortlessly natural performance. The chemistry between Berkon and Eves as sisters is tangible and heart warming. The entire play is packed with tender emotions, however it is the cherished moments between sisters, as Annie comforts and adventures with Grace that is most touching. 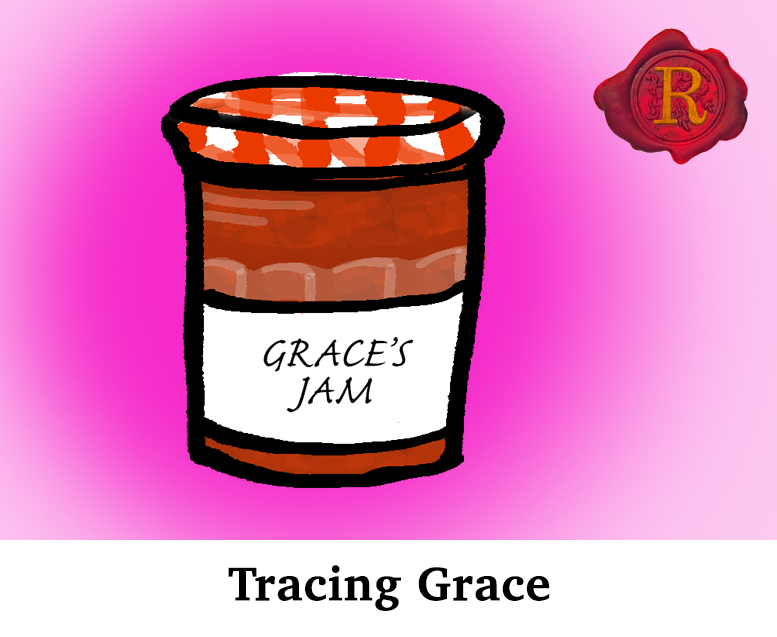 Providing ‘Grace’s voice’ as a second character is a powerful tool in expressing Grace’s true feelings – a wonderfully creative way to show Grace beyond her condition. 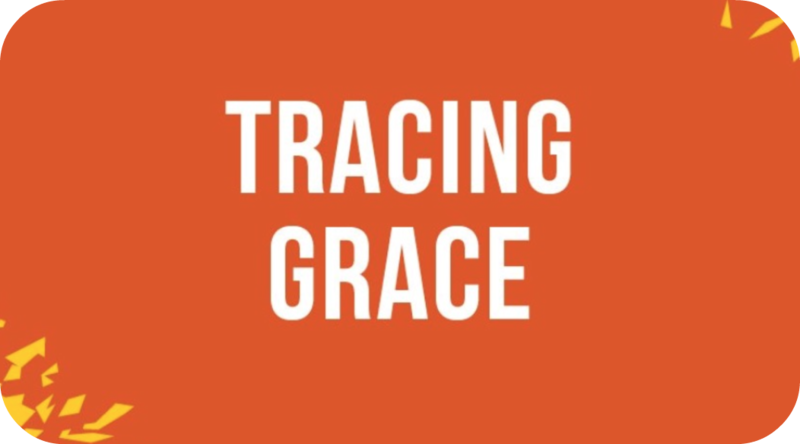 Seek the real Grace in this upbeat and emotionally moving production of Tracing Grace. A really emotional piece. Very personal – great.